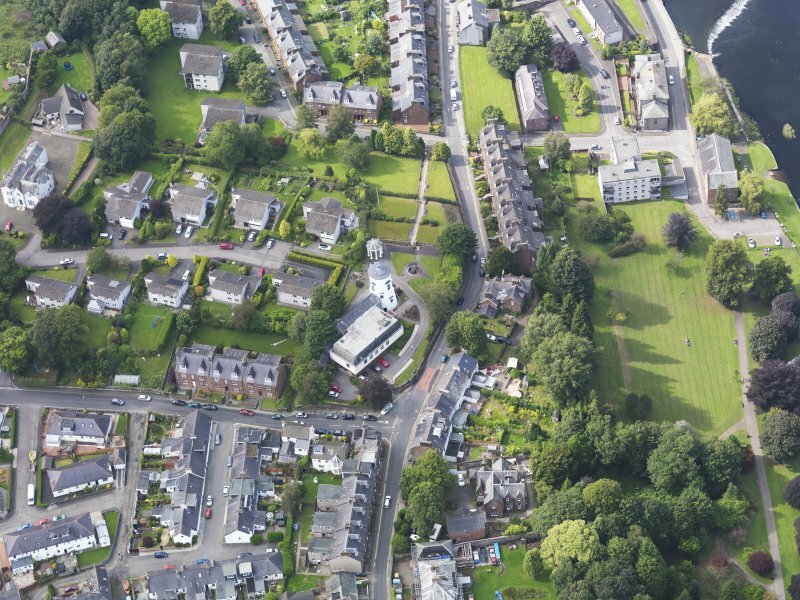 Oblique aerial view of Dumfries Burgh Museum and Observatory, taken from the NW. 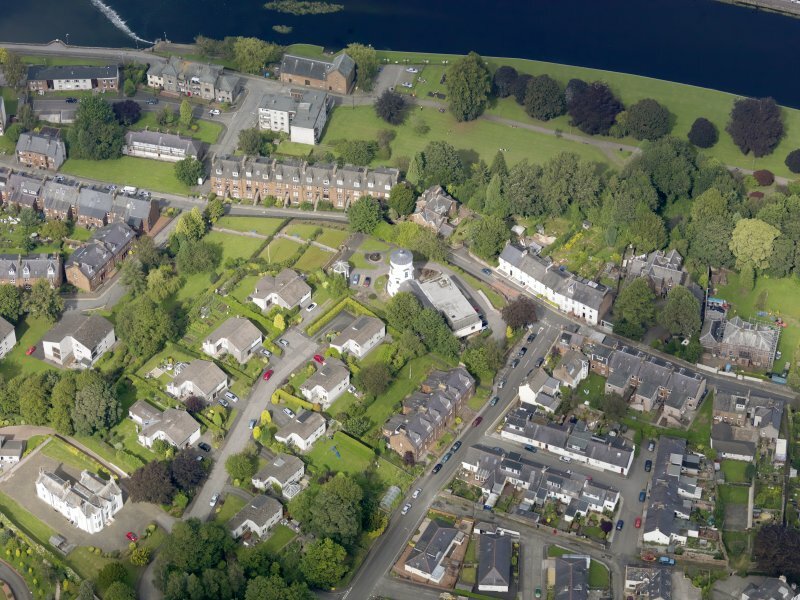 Oblique aerial view of Dumfries Burgh Museum and Observatory, taken from the SE. 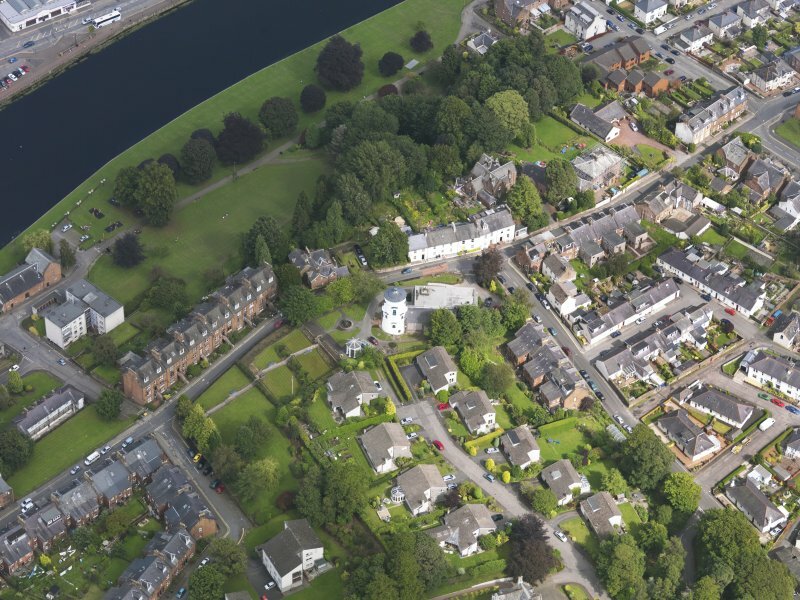 Oblique aerial view of Dumfries Burgh Museum and Observatory, taken from the SSW. 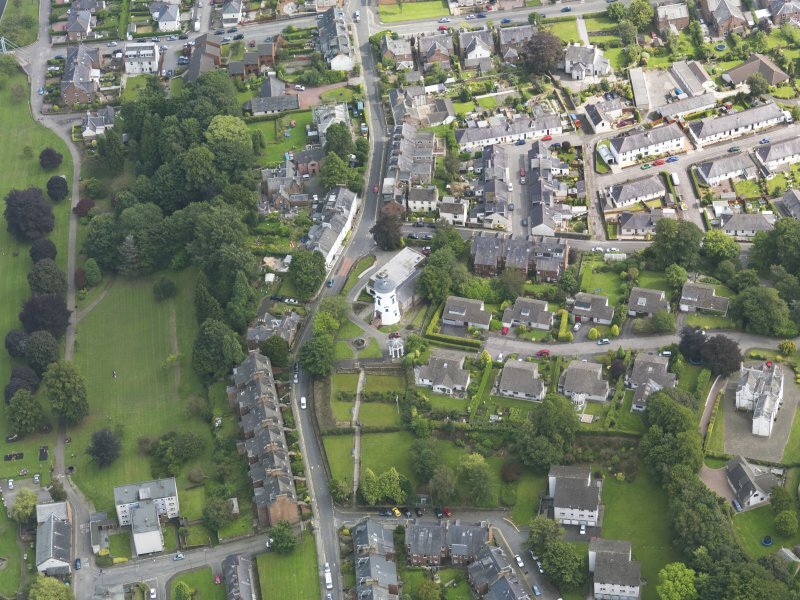 Oblique aerial view of Dumfries Burgh Museum and Observatory, taken from the W.
Oblique aerial view of Dumfries Burgh Museum and Observatory, taken from the N.
View of Observatory from the N.
For celtic stone heads built into a garden wall at the museum, see NX97NE 136 and NY07NE 2. (Location cited as NX 968 758). Windmill, built 1798. 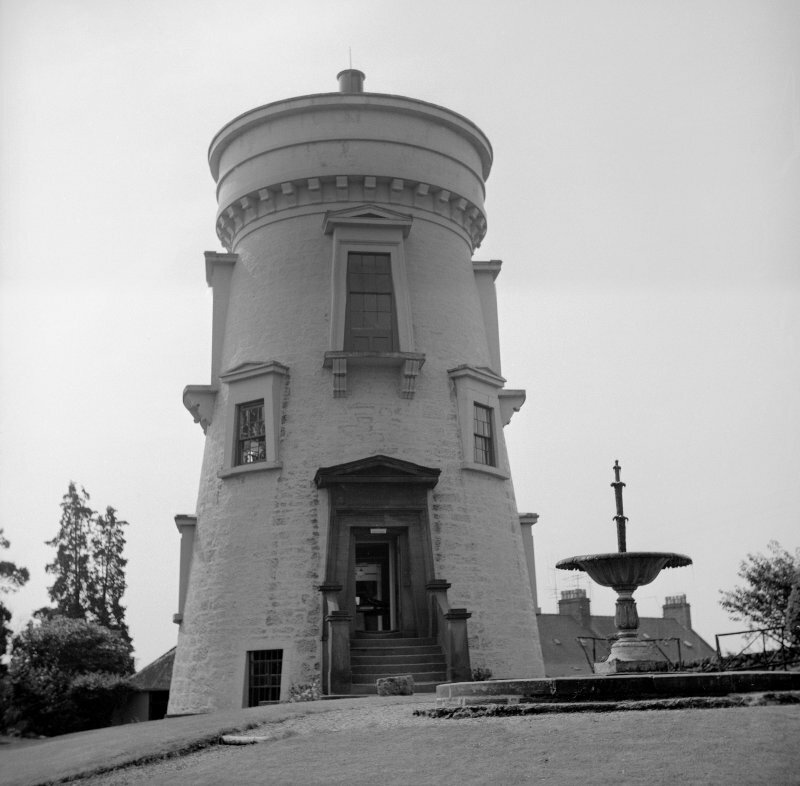 A four-storey tapered rubble tower, with pedimented doors and windows, and a circular corbelled cap. Part of Dumfries Burgh Museum since 1834. 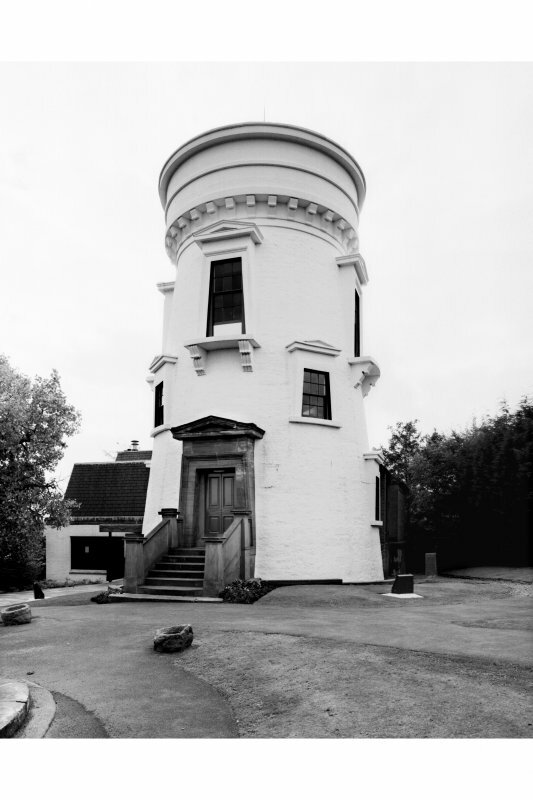 A much-altered tower mill, built in 1798; converted to form an observatory in 1834 and later became a museum. 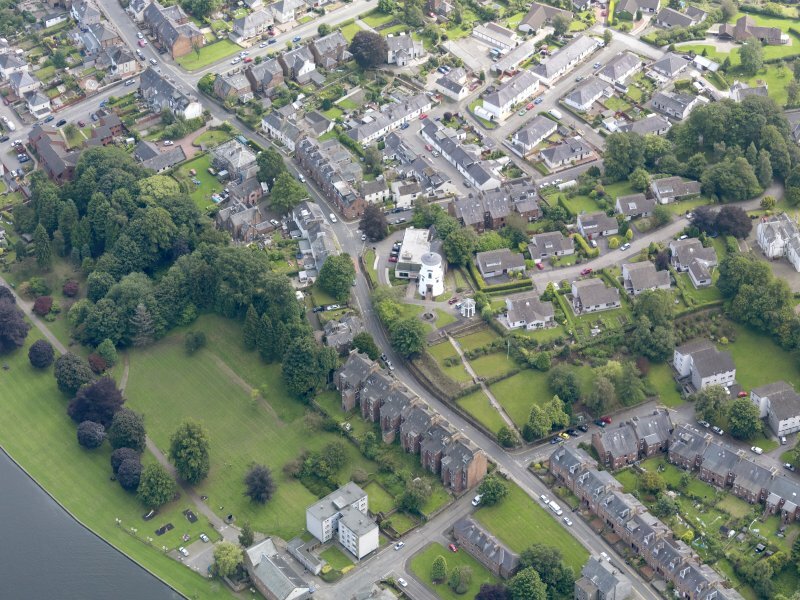 Comparable with Carluke High Mill (NS85SW 15 ). I L Donnachie and N K Stewart 1967; G Douglas, M Oglethorpe and J R Hume 1984. Dumfries Museum and Camera Obscura, Church Street. The dominant feature is the strongly battered tower of white-washed ashlar, built as a windmill in 1798. First World War Maxwell and Son Publishing Roll of Honour was removed to Dimfries Museum.